Matrimony.com Pvt Ltd, which owns Bharatmatrimony.com and a clutch of other matrimony related consumer internet platforms, is ready to get listed by November, says its founder and CEO Murugavel Janakiraman. The company had filed its draft red herring prospectus (DRHP) with India's securities market regulator SEBI for an Initial Public Offering (IPO), in August last year. Apart from the flagship brand Bharatmatrimony.com, the company also runs EliteMatrimony.com, CommunityMatrimony.com, AssistedMatrimony.com, MatrimonyDirectory.com and Tambulya.com. Janakiraman told Techcircle that the company is "planning to raise Rs 550 crore ($83 mn), of which Rs 350 crore as primary offering will go into the company". 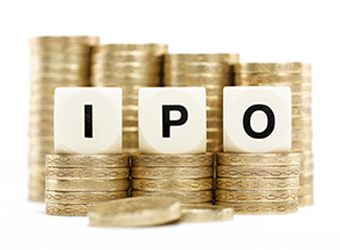 The proposed IPO will also provide exit to the venture capital firm Bessemer Venture Partners (BVP), which with few other investors, will be selling 1.66 million shares. Some of the early investors in Matrimony were venture firms Canaan Partners, Mayfield and Yahoo. Canaan's 23% stake in the company, however, was bought over by JP Morgan Partners early last year and Yahoo had sold off its stake to BVP. The company had appointed Kotak Investment Banking, Citigroup Global Markets and Deutsche Equities India as investment bankers for the exercise. "If everything goes well, we will be listing in (the next) four to six weeks," said Janakiraman. Earlier this year, Infibeam Inc Ltd, the first ecommerce firm to get listed in India with a Rs 450 crore initial share sale, received a tepid response managing an oversubscription of around 11%. The company's shares debuted at Rs 458 on the Bombay Stock Exchange but the scrip has done well since then. On October 6, the closing price of the share was Rs 912 and the company's current valuation is around Rs 4770 crore. According to the DRHP, Matrimony's consolidated net revenues more than doubled in the four years between FY11 and FY15. The company closed the year ended March, 2015 with net revenues of Rs 232 crore, up over 16% than the previous year. Its EBITDA, or operating profit, grew over four times between 2012 and 2015 and it ended FY15 with EBITDA of Rs 17.8 crore. Founded in 1997, Matrimony.com comprises three segments â€“ matchmaking services, marriage services and related sale of products and other services, such as the mobile-only relationship app Matchify. It started offering online matchmaking services in 2001. The company claims it had 568,000; 571,000 and 647,000 paid subscribers in fiscal years 2013, 2014 and 2015, respectively. "We have expanded from Bharat Matrimony to other regional language and community sites to maximise our revenues and market share," said Janakiraman, adding: "We have 300 plus sites now. We have India's first elite matrimony service for the rich and affluent."